Designed in a beautiful oval shape, this awning suits modern architectural design curves. Featuring a range of accessories, you can upgrade the Garda Folding Arm Awning for maximum functionality. Utilising simple square bar installation, this product is easy to fit in a variety of different locations. This sleek and modern solid aluminium rain hood mounts flush against a flat wall surface ensuring no water run off behind the awning’s mounting point. Available in standard and powder coat colour finishes. The bottom profile is installed under the fabric roller ensuring complete fabric encasement. 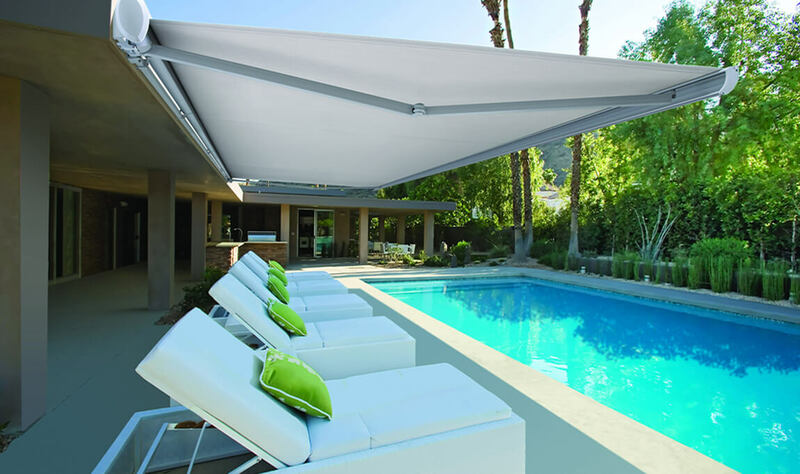 This provides the ultimate in Semi-Cassette fabric protection and essentially offers the same benefits as a Full-Cassette Folding Arm Awning.